A mindset has emerged over the years where specific muscles are viewed as the culprits for all physical deconditioning or dysfunction. Want a six-pack? Work those abs. Having difficulty walking? You must need gluteus medius strengthening. Back pain? Activate those glutes. Shoulder pain? Must be a weak rotator cuff. I could go on and on, but I think you get the point. When it comes to movement impairments, it’s commonplace nowadays to point to a specific muscle as either the scapegoat or the savior. This isn’t to say that the muscles identified aren’t involved in the mechanism of injury or aesthetic discontent. What it is saying is that the entire extent of the problem often doesn’t lie just within those muscles. We talk a lot about muscles, as they’re the tissues of the body over which we have voluntary control when training. However, it’s important to recognize that humans are a “system of systems,” and nothing – and I mean nothing – works in isolation. For instance, our nervous, circulatory, lymphatic, endocrine, and immune systems are all affected by how we move – not by arbitrary quantitative assessment of specific muscle capacity. 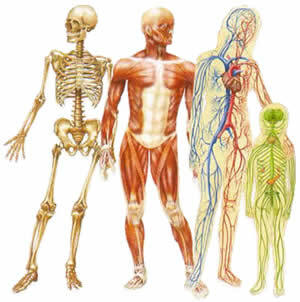 Thus, when it comes to physical performance, our muscular system is just one of many systems working in synchrony. With all this being said, one can see how oversimplifying specific musculature as the sole problem can be shortsighted and ineffective. In fact, it can even be downright harmful at times. We live in a culture in which most of us sit all day, every day. Then in the gym, instead of exploring the natural extent of our movement capabilities, we isolate muscles,which only further feeds this negative culture. You see, muscle training is more of a movement prescription than a movement education. Oftentimes, the exercises that are prescribed to isolate certain “muscle problems” actually lead to further imbalances that originated from our chronic static positioning. Do our quads really need training in the seated position? Do we ever really use these muscles in this way? If we sit all day, why would we want to sit when we’re exercising? Doesn’t seem too logical to me. Clearly, machine training rarely promotes muscular use in a functional context. Instead, it merely amplifies the muscle imbalances caused by chronic sitting. Another common example is training crunches excessively to try to “work your abs.” This movement promotes a high volume of trunk flexion – the very position we find ourselves slumped over into while in front of the computer or leaning over a counter. Again, not too smart. Training the abs via crunches can actually increase muscle imbalances caused by long durations of sitting and standing in trunk flexion. The upshot? Increased risk of injury and decreased ability to generate force during functional and athletic movements. The trouble with this line of thinking is that the concept of balance goes far beyond muscles. No real world movement calls for isolated muscular effort. When we train specific muscles in a controlled gym environment, we’re making an assumption that these muscles will then activate when we go to perform athletic activities or activities of daily living. What this method grossly underestimates is that human movement is a learning process, not a strengthening process. Therefore, strengthening muscles in isolation does nothing to improve our ability to move better – and can ultimately make the process more difficult. On the other end of the spectrum is movement training, which utilizes a deconstruction of functional or athletic movement as a guide for assessment and programming. Here, the movement professional helps the client develop strategies to move as efficiently as possible by developing task-specific qualities like mobility, stability, strength, power, and endurance. This educational process is a combination of both art and science and incorporates all body systems together. Better movement can’t simply be prescribed; instead, it is an ongoing path that we all must travel. Working a static hollow body position while lying on your back can be progressed to static hollow body vertical hanging, which can then be utilized to perform a variety of dynamic movements that incorporate hanging from the bar while maintaining midline stabilization. On this path, the movement professional is responsible for teaching, coaching, motivating, and supporting the client. This process must be highly specific based on each individual client’s movement needs – not their muscle deficiencies. Progressions and regressions are chosen in order to put the client in a better position to control and kinesthetically understand the optimal movement technique. Training movements are selected based on their transfer to each client’s unique movement goals. Likewise, exercise volume and load are added to well-controlled and well-comprehended movement patterns, not to specific muscles. The entire approach will, of course, be guided by an understanding of the underlying science of movement. Having a firm grasp on the anatomy, physiology, geometry, physics, and even the biochemistry of movement allows for the creation of highly individualized programming. The Turkish Get-Up is perhaps the best example of true movement training. At its core, the get-up is simply training the common human skill of getting up and down from the ground efficiently. Yet it’s also a highly complex movement that must be progressed slowly and methodically for true mastery. Clearly, the get-up is not is an attempt to isolate specific muscles, but rather an effort to integrate the entire body to work as one functional unit. With the transition from muscle training to movement training, the biggest difference I’ve noticed in my clients has not been their strength, power, endurance, mobility, and stability – all of which have improved dramatically. Rather, the biggest difference has been their ability to carry over the knowledge they’ve gained in our supervised training sessions to their independent sessions and, ultimately, their daily lives. Human movement is a significant factor in how we interact with the world and should be treated as an inherent part of being alive. When we train in isolation, we’re treating ourselves more as science experiments (think a hamster on a wheel) than full-functioning human beings. Are you a hamster or a human? I, for one, choose to embrace my humanity. Special thanks to Travis Pollen (www.fitnesspollenator.com) for editing my incoherent gibberish into something readable and hopefully valuable.